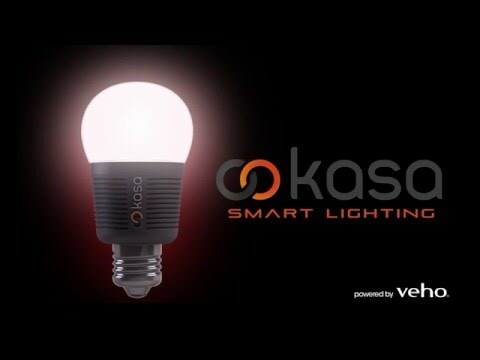 Product Overview Enjoy low energy adaptive lighting with the Kasa smart lighting Bluetooth wireless LED spotlight bulbs. Automate your home lighting wirelessly through the Kasa app for iOS and Android. The Kasa smart lighting GU10 Bluetooth 5 watts (40 watts converted) LED spotlight bulb will give you 15,000 hours of adaptive low energy lighting. Kasa Bluetooth bulbs have a cost efficient life expectancy of 15 years when used 3 – 4 hours per day. Using the Kasa Lighting app you can schedule a 24/7, 365-day schedule of lighting for home and even choose to dim your lights by schedule or turn your lights out by countdown, which is great for young children or when you are leaving the house for an evening. The Veho Kasa GU10 LED bulb is part of the Kasa smart lighting range that has fittings for most popular types of bulb fittings, including: E14, E26, E27, B22 and also available in a 3m LED light strip. • Create room and mood presets to group Kasa lighting and change mood lighting to suit your environment of activity. • Kasa Bluetooth Smart Lighting LED GU10.